At Monday’s City Council meeting first reading was given to bylaw 18/06 – the BRZ Mill Rate Bylaw. We have had a couple messages about it, so we reached out to BRZ President Murray Denoudsten to find out what it is all about. What is the BRZ? The Brooks Town Centre Revitalization Zone is an organization of businesses in Brooks Town Centre who work together to promote the social, economic and physical environment of the business area. What is the BRZ Levy? We have the business tax levies to fund the various activities of the BRZ. This year’s levy for the entire business area is just $15,000. This amount is apportioned among the businesses based on the square footage of the business. There are three categories of business size. What are the BRZ’s Plans for 2018? In addition to the items listed above, This year our plans include increased marketing of the BRZ, profiling individual business and construction of the gazebo in Veterans Centennial Park. How can I get involved with the BRZ? 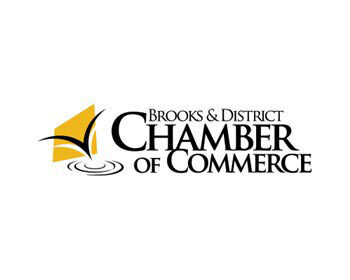 All business owners in the BRZ are encouraged to be involved in promoting and improving the vitality of Brooks Town Centre. We hold monthly meetings at noon on the second Tuesday of every month in the Hayes Room of City Hall. Business owners in the BRZ can call Murray at 403-362-3293 for more information. A final note about the proposed mill rate: It is true that the rate is increasing 1.19% from 92.02 to 92.75 mills. But put into context: inflation increased at 2.77% in Alberta year-over-year and the budget amount itself - $15,000 – is remaining the same. The change in the mill rate reflects a change in property valuations, not an increase in BRZ spending.